Kevin Cashman is the Global Leader of CEO & Executive Development at Korn Ferry, specializing in Keynote Speaking Events. 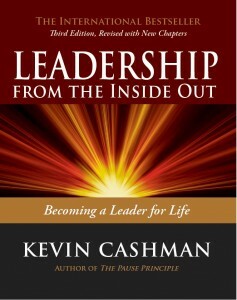 Centered around Kevin’s signature “grow the whole person to grow the whole leader” principle, Cashman Leadership delivers valuable knowledge and activity for leadership growth. 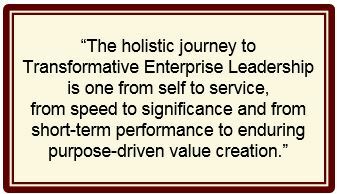 The need for exceptional leadership has never been more urgent than in today’s volatile, uncertain and complex world. Challenged daily to make sense of the ambiguous and complicated, great leadership calls upon us to pause in pragmatic ways. Simply turning off the cell phone or choosing an email-free day can help us step out of the fray and restore. But today’s leadership and tough decisions require an arsenal of pause practices to support self-awareness, developing others, and making strategic breakthroughs. Kevin’s transformative work focuses on building our personal leadership capacity by continually “growing as a whole person to grow as a whole leader” and catalyzing the same commitment to growth throughout the organization.